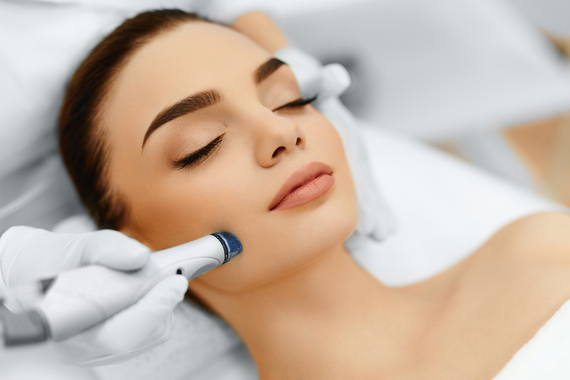 Microdermabrasion is a skin resurfacing treatment which utilizes a stream of micro-crystals projected onto the skin and then vacuumed away. We also use diamond tip microdermabrasion as well. Studio 115 Massage is now offering Esthetics! Owner Brandy Noice has been in the field of massage therapy since 2005. She is a recent graduate of Tricocci University and is now offering full body waxing, microdermabrasion, facials, chemical peels, eyebrow Tinting, and so much more! She is versed in many modalities including Swedish, Deep Tissue, Myofascial release, Hot Stone, Reflexology, Prenatal, and Spa infused relaxation massage. Brandy is passionate about massage and Esthetics and it shows through her work. She uses her deep understanding of the body to get instant feedback. Brandy tailors each massage to the needs of her clients, often without words being spoken. Her calming presence and caring disposition add to the serenity of the treatment. Brandy has worked in a diversity of settings including a state of the art spa and a medical center. She is certified in medical massage by LMT Success group. Brandy’s motto in life is live, breath, massage, and is excited to help others feel the same.